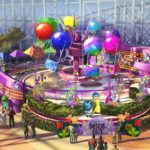 Jessie’s Critter Carousel, a new attraction heading to Pixar Pier at Disney California Adventure will open in April, according to the Disney Parks Blog. 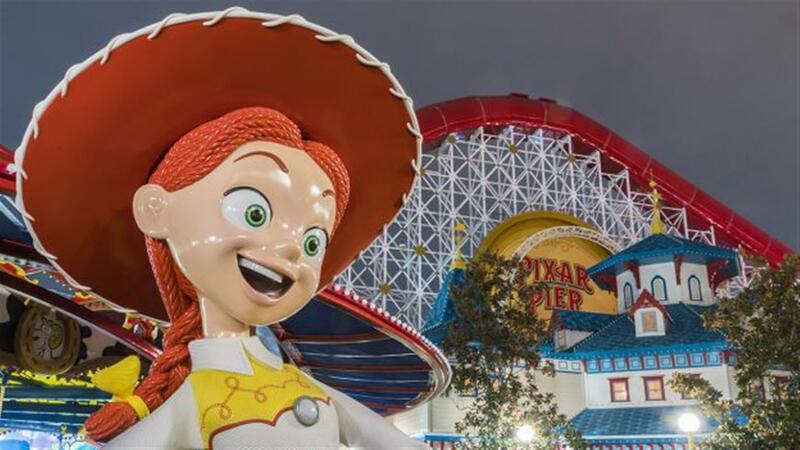 The new attraction is inspired by the Toy Story films and will be located between the Incredicoaster and Toy Story Midway Mania. Guests will be able to ride a selection of turtles, snakes, buzzards, armadillos, bunnies, deers, raccoons, rams, skunks or one of two cozy logs inhabited by a family of owls. The exact opening date has not yet been announced, but be sure to check back for more information as it becomes available. 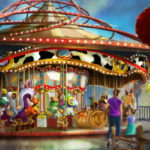 And be sure to keep an eye on our Project Tracker for Jessie’s Critter Carousel for any new information as well. Disneyland Resort revealed all kinds of exciting new details on Star Wars: Galaxy’s Edge. Check out our Project Tracker for the latest. Orange County residents and guests visiting Downtown Disney can enjoy special food and beverage offerings as the shopping and dining district celebrates Orange County Restaurant Week. Celebrate good food from all across the state of California during the Disney California Adventure Food & Wine Festival. The popular event returns to the park this week with new menus and returning favorites that will delight guests of all ages. The Downtown Disney District at Disneyland Resort has plenty of fantastic shopping options for guests and it’s about to add one more. 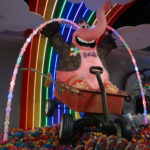 Sugarboo & Co. is coming to Downtown Disney.